You would like to finance the instrument of your choice from own funds? will submit you an individual offer. in-house, as priced on the internet. 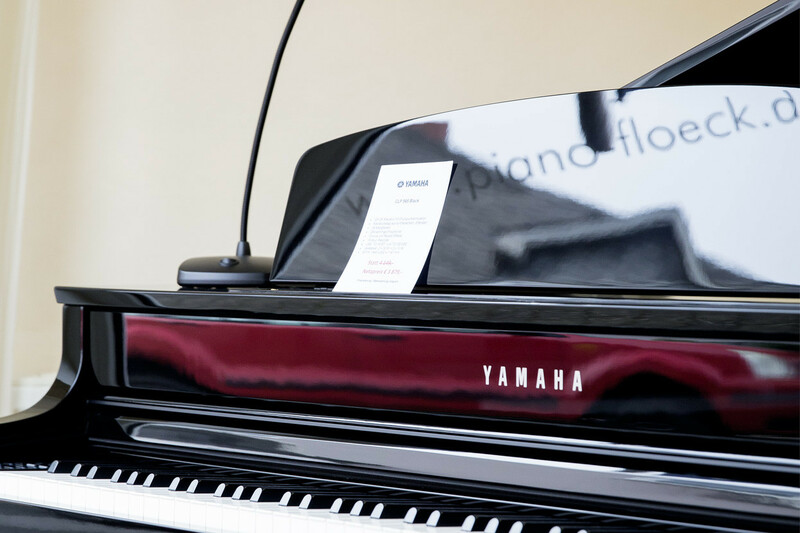 Two-year right to return for new and used pianos and grand pianos. You buy and pay your instrument in full. We reward you for your payment with a discount of 6% for a new instrument and a discount of 3% for a used instrument. If you return your instrument after two years, we will refund the buying price minus the price for the rent for every month commenced, minus transportation costs for the transport and the return transport, and minus a customer service already done. You can’t combine “buying with return guarantee” with other discounts. You rent your instrument for 12 months. The price for the rent is dependent on the value of the instrument. You might only pay € 25 per month. After 12 months you can buy or return the instrument. If you buy it, the rent you already have paid during the 12 months is subtracted from the buying price. (This applies to used and new instruments). If the buying price is higher than € 8,500 you have to pay 1,5% of the buying price per month. What are your options after the expiration of the rental period? Option A: You can buy the rented instrument or another instrument. The rent you already have paid during the 12 months is subtracted from the buying price. Option B: You return the instrument. Thus you had the chance to take your time to test a good piano at home. If you choose option B and do not keep the instrument, we need to charge you for our transport costs. Additional option: Subsequent to the rental period, rented instruments can also be financed. You can’t combine “rental” with other discounts. We divide the purchase price of your new instrument by 60 months. After the 60 months the instrument belongs to you. We don’t charge interests. You don’t conclude financing. With a cancelation period of only one month you are able to return your instrument before the expiration of the 60 months. Please note: “porthen/flöcken” only applies to new pianos and grand pianos which cost EUR 30,000 maximum. It does not apply to used pianos, used grand pianos and digital pianos! The minimum term for the agreement is 12 months. If you return your instrument before the 60 months are over, we charge you for the transportation costs. Please bring your ID card and a current salary statement. You can’t combine “flöcken/porthen” with other discounts..
We offer you a 0 % financing for your new piano or grand piano regardless of the buying price and over a period of 36 months. Used Instruments with 3,25 % interest. We would be pleased to provide you with an individual offer with longer or shorter maturities: simply individual. You can’t combine “Finanzkauf” with other discounts..